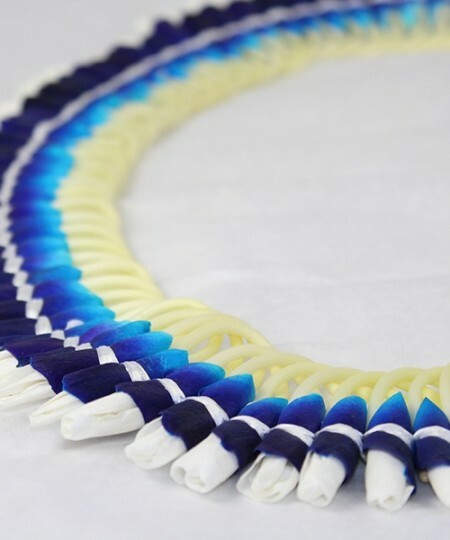 Categories: Blue Leis, Fragrant Leis, Graduation Leis, Green Leis, Hawaiian Flower Leis, Red Leis, White Leis, Yellow Leis. 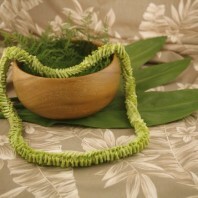 A Micronesian ginger lei, or Micro ginger lei is one of the most fragrant Hawaiian leis. The flowers are white and the fragrance is rather full. 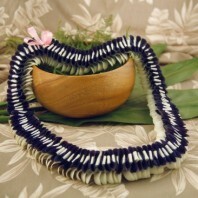 This is typically a flat Hawaiian lei about 36 inches around and a little over two inches wide. The feathered ginger lei is more round as the flowers are not flattened. A ginger is most often worn by women due to it’s perfume fragrance. The fragrance is not unlike that of a tuberose lei. 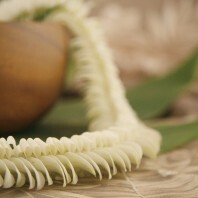 This is a sensitive lei with special terms. You must read our Terms and Conditions prior to ordering. Sensitive leis are not guaranteed with 2 day ship to destinations. These leis takes some time and care to make. So please order well in advance of your event. We usually sell out for graduation leis or Mother’s Day. The color infused leis must be ordered at least a week in advance. Remember, you select your arrival date when you check out so you can never order too early. We also recommend that someone is available to receive and sign for your package. Leaving it on a porch can lead to weather damage very quickly. 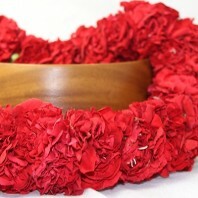 This lei also makes a wonderful birthday or anniversary gift. 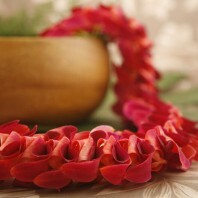 A ginger lei is also appropriate for retirement or to thank a teacher at the end of the semester. 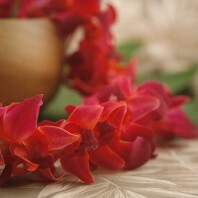 Fragrant ginger leis are not so long lasting as orchid leis. Open your box right away. Refrigerate the lei in a closed bag. Careful not to bruise or pinch the flowers. It can be refrigerated between wearings. 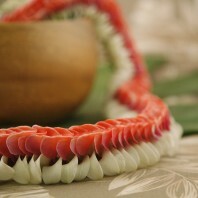 We offer several types of ginger leis. Select the drop down list above to see a picture of each. 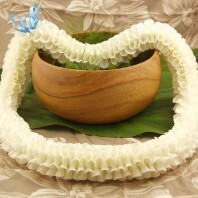 This is an all white, flat and fragrant lei made with ginger flowers. 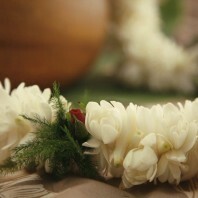 This is one of the best leis for women due to it’s delicate white flowers and remarkable fragrance. For some added color this Hawaiian lei adds exotic purple orchid blooms. The purple color is wrapped around each ginger blossom exposing the tip. This is also a very fragrant lei. The orchids do not have any fragrance of their own. This is also a wrapped lei. Instead of natural purple orchids we have infused the blossoms with special color. These are the same exotic orchids used for our color infused loose orchid blooms. The color infusion is used for variety. 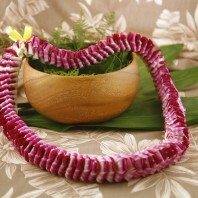 It also allows you to match your Hawaiian wedding colors or school colors for a graduation lei. Your color choices include blue, red, yellow and green as shown. The original orchids are white and purple so each will include some of the natural color as well. Choose your favorite. Not ordering in advance may result in cancellation or delay. 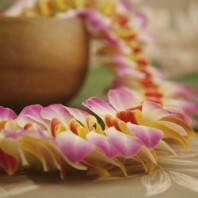 This Hawaiian lei also uses lovely and fragrant ginger flowers. 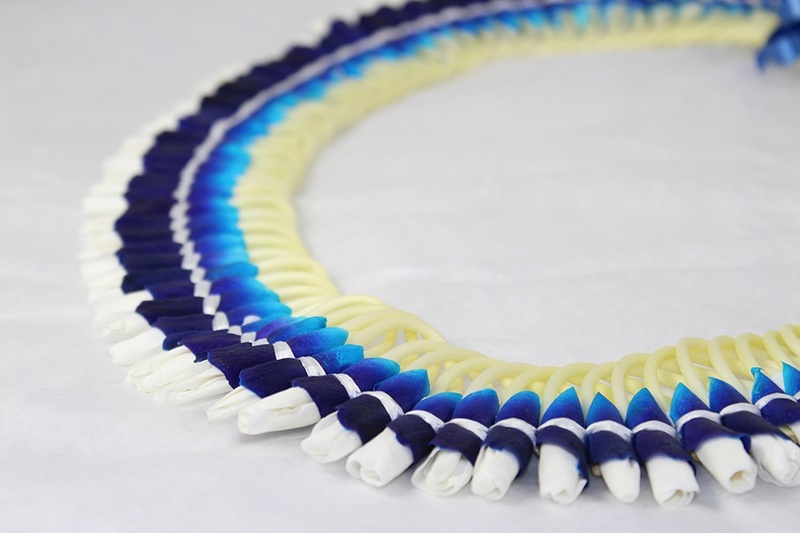 It is sewn in a kui style with the flowers nesting along the string. It is more round than the other flat styles. Open your package right away. 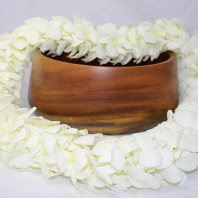 Gently place the lei in a close bag or plastic container and refrigerate. If you are transporting the lei in a cooler make sure it is not touching the ice or cold packs. In a few days the lei will begin to brown. It will not dry like leaf leis. As with all plant leis it should be returned to the earth after wearing.